1st Day of December (Advent) - Cherry Colors - Cosmetics Heaven! This is the very first Advent post. I am opening the season of the Advent calendars with it ;). This year I have two calendars to open. One is from Essence and the other is by Balea. I also got my kid the Dragon advent calendar, so I may include that one too. I will be posting daily the pictures of what I got on my Facebook and Instagram. Check them out. Also, at the end of the Advent period, I will make a long picture heavy post with all the pictures of what I got in my calendars ;). 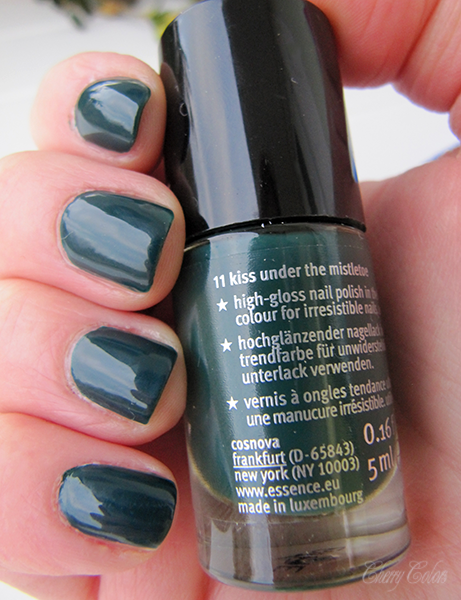 Read more to see the manicure with this polish and what as hidden in my Balea window :). 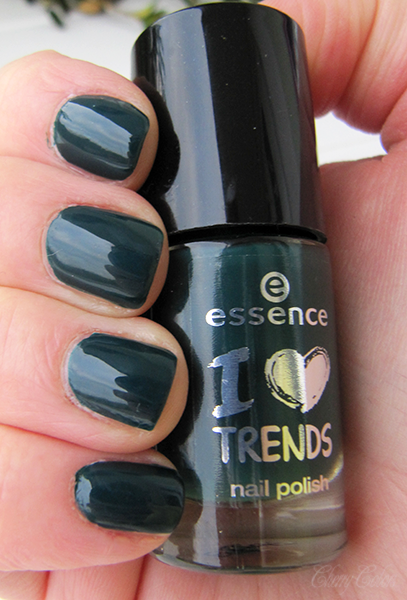 This is a beautiful dark green cream polish. It applies like a dream and if you are careful, one coat could be all you need. I was surprised to find this one under my first window, but I love it. 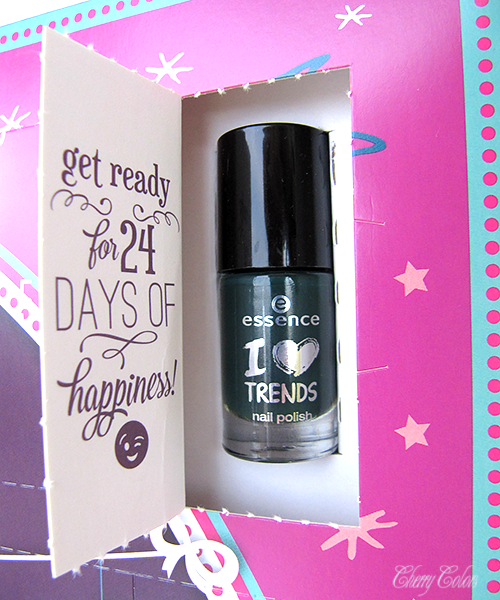 I know that Essence has the products (polishes) mixed in each of the calendars, this means that each day you get a different polish than your friend! I am so happy that this is the first product we got. Why? Not because I'm such a fan of body milks, no. But because it was weighing down the calendar and now that it's out, the calendar isn't crooked anymore (on the wall). Do you like such posts?